Why, oh why, do we have the 11 o'clock news? I'm asking because I've come to the realization that I just don't need it. There are few nights where I need a reminder, at 11 p.m. -- or 10 p.m. in the Central time zone -- of all the bad things that have happened during the day. It's especially true, however, this week. I've spent the past two days localizing the story of the shooting rampage at Virginia Tech -- and quite frankly, after eight or 10 hours of immersion in newscasts, Web pages and my own interviews, I really don't need to be reminded of the horrible story that's unfolding. In fact, by 11 p.m., I'm ready to kick back, finish sipping my beer and watch some frivolous TV. And if I, a diagnosed workaholic, am feeling that way, there must be others. I'd hate to be the one calling for a sector of my industry to fail. But isn't there a good chance our society's collective anxiety might be better served by showing, say, "Mr. Rogers" re-runs at 11 p.m.? I think so. So down with the 11 o'clock news. Up with fluff. Give us something that won't keep us lying awake until 3 a.m.
One cool thing about being home is seeing what my old friends are doing with themselves, seven years after we graduated from high school. 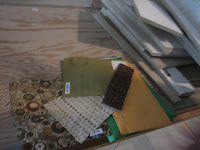 My friend Elizabeth -- member of our self-appointed Ya-Yas -- is creating her own photo studio. She might be frightened, but the lot of us are quite excited for her. Having seen her work, we've no doubt she'll be imminently successful. I spent Saturday afternoon adding my two cents to Elizabeth's selection of some quite nice light fixtures for the studio. She's settled on silver metals, which I've no doubt will nicely compliment the hip colors and fabrics she's chosen. 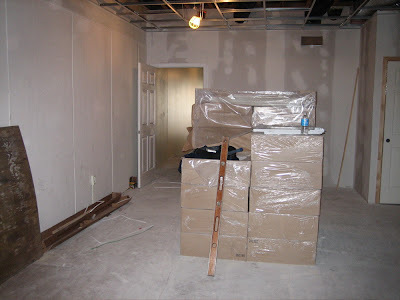 More to come as the construction progresses. I am by no account a tree hugger. I enjoy the outdoors, but I've only gone on a handful of clean-the-trails outings. I'm trying to cut my electricity use, but that's mostly an effort to save money. And while I don't litter and I like to recycle, I won't go far out of the way to hand over newspapers and plastic bottles. Still, articles like this New York Times piece, about the Sundarbans -- a group of river delta islands in India -- get me thinking: Will my (eventual) children ever see the world I see now? The story shows how sinking islands have impacted local residents, including a man who's had to move his home and lost his livelihood because of rising waters. A recent study found that 31 square miles of the islands have disappeared. I've already missed out on visiting a pre-Katrina New Orleans. Do I need to hurry to see the Everglades or the coast of Kerala? I'm hoping the answer is no. But as more stories about sinking islands and disappearing coastline creep up, so do my worries. 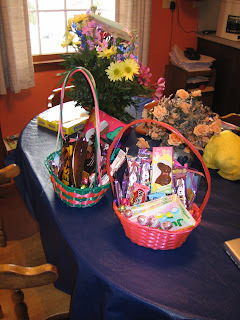 The pink basket in this photo led to a good 36-hour period of chocolate binging. Ah, well. Easter comes but once a year, right? One of the first things friends notice about my family is that we have our own particular -- and sometimes peculiar -- ways of doing ordinary tasks. Take Tuesday, for instance. 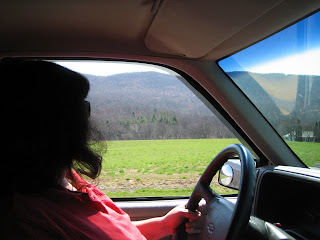 After watching the movers unload most of my earthy belongings (my car remains in transit), Mom and I set off on a journey: 70 miles round trip for -- drum roll please -- a pick-up bed full of mulch. Mom, as you might have guessed, takes her gardening -- flowers, fruits and vegetables -- quite seriously. From mid-March to late October, she spends most available mornings, afternoons and evenings on my family's six-tenths of an acre, planting, weeding and harvesting. 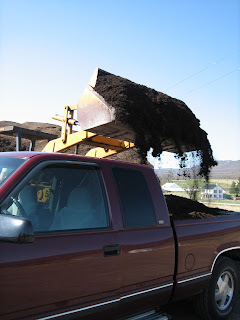 When it comes to mulch -- or tanbark, as we call -- she says there's just no use in purchasing a load from any of the closer local vendors (including one about two miles from the house). The products they sell, she says, disintegrate over a winter to tiny sticks and powder. To avoid this calamity, she makes a trek into the mountains each year to Carl Rosenberry and Sons Lumber in Fort Loudon (an apparently unincorporated area near Chambersburg known for, of all things, a fort). Tuesday was a good day for the long haul: sunny and unseasonably warm. The redbud trees weren't yet in full bloom, but I wasn't bothered. I haven't seen mountains in a while, so the Appalachians alone were exciting to me. As with other tasks in life, the journey in this journey is most of the fun. To get to Fort Loudon, we traveled through Chambersburg, past Dilly's -- where I've eaten hamburgers after mornings of rainy fishing -- and through St. Thomas, where I believe I once covered an ox roast. We also drove along Path Valley Road, which winds through the mountains, in front of roadside stores, hunting grounds and even a log cabin. The actual act of getting the mulch, I have to say, was a bit anticlimactic. After all, it's just a business. You pay, you follow the tractor through the stock yard and you wait while he fills up the truck. An adventure, however, nonetheless. Total damages: $34.87, plus mileage (which I imagine is fairly lousy with 1.9 cubic yards of wood chips in the truck bed). 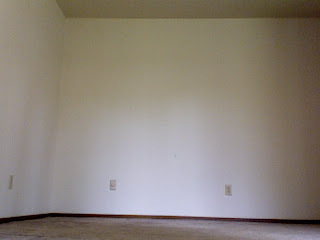 Here's how the apartment looked -- completely empty -- on Wednesday. My belongings now are on their way to Pennsylvania. I'm currently already luxuriating in the Commonwealth, on a couch beside a fireplace with, yes, a crackling fire. Aside from a desperate need for a new pair of contacts, I'm quite comfortable, honestly.